I was so excited to help welcome this little man into the world. 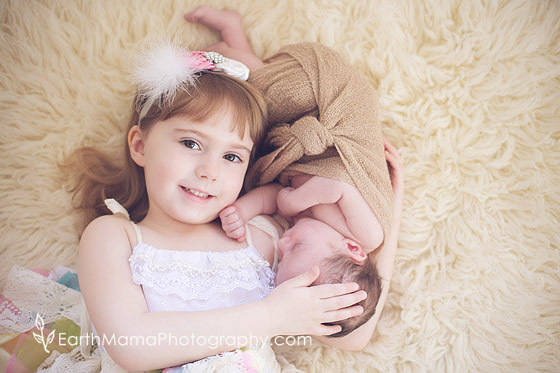 This sweet family has six girls at home and were overjoyed to discover baby number 7 was a boy! I was blessed to be there when they had their 6th daughter, so it was so much fun to be there again. Little Joshua came out strong and mighty and had an opinion for sure. He may have been on the smaller side, but he wasn't going to let that stop him. He is just simply delicious and I can only imagine he is never set down with all those sisters wanting to love on him all the time. Congrats, you guys! He is in the best home! I love this sweet family! I have had the honor of photographing them since they were expecting their first baby and they have continued on our baby plan and have now welcomed baby number two. They are my biggest cheerleaders and I feel so blessed to know them. This birth was beautiful and went just a smoothly as you could hope. Mom was relieved to not have to push for hours and even more amazed that she pushed for only a few minutes! What a blessing. Baby Austin was born and almost immediately started looking around. He was truly aware of his amazing parents. Praying that you guys enjoy these images as much as I do! I was so excited to attend this birth because it meant that this sweet boy was coming out and giving his mama some relief! We all expected him to be big, but not quite as big as he was. It was so much fun to be with this family while they rejoiced in this new addition. I think the funnest moment was when the big brother and big sister got to meet their new brother. My favorite comment was when sweet Lydia announced that her baby brother was "Eating mom all up" when she saw him nurse. She was so concerned! I just love the innocence of these babes. It makes my heart swell. Well here are the sneaks of this sweet boy, who weighed in at 10lbs 8oz! Enjoy! I was so surprised to hear from this beautiful family last Monday. Apparently Little Cashel wanted to make his arrival about 3 weeks early! I wasn't complaining as he arrived on a gorgeous first spring day. It was a fast and beautiful labor and I was so honored to be there. They also had the support of their amazing doula, Sarah whose birth I was also honored to photograph. I look forward to seeing him again next week for our newborn session. Welcome little man! This little man is on my baby plan and we have managed to get a little behind. I didn't realize HOW behind we were until he showed up at our "9 month" session walking! Since he had already had his one year birthday, we just did some fun one year type shots. He was so sweet toddling around the park and patient with us as we made him swap outfits in the heat. He is just a gorgeous baby and I love photographing him! Enjoy you guys! August and September have been full of repeat clients. I absolutely love it when I get to work with a family a second (or more) time and see how their family has grown. Baby Maddox was no exception! I was there when his big sister was born. She was born in the hospital, so you can imagine my excitement when Mom announced she was expecting again and this time planning a homebirth. Double yeah! Her labor wasn't too long, but she did work very hard. She was strong and beautiful and baby Maddox is just as incredible. She had a great support team and was surrounded by people who loved her and baby Maddox a whole lot. I think these images show just that. Enjoy! Jaiden didn't arrive the way his family hoped he would arrive, but he sure came into a lot of love! I was so honored to be there to support this family and to capture these special moments for them. He came just a day before his due date and came out at a whopping 9lbs 3oz! We couldn't believe how cute and chunky he was. What a love. I was able to see him this last weekend for his newborn session and he was just yummy as I remembered. His family is loving their new arrival and I hope things continue to go smoothly as they transition into life with the newest member! Little Max was a perfect angel for our newborn session. I have to say I was so glad too, because apparently he can give everyone a run for their money if he tries ;) He is so handsome though. I was excited to get my hands on him again after being there for his arrival. The light was beautiful as well. We had a lovely afternoon followed by some lovely images!